Today's the day I received our wedding invitations and I could not be more excited to share them with you! 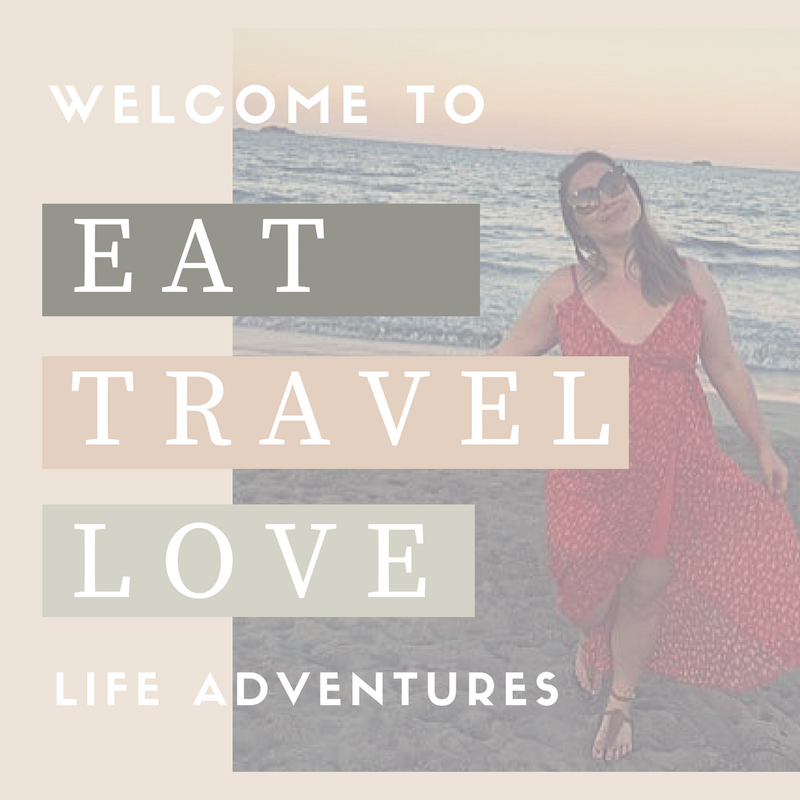 As you may have already read, we have opted for a relaxed vintage travel theme within our wedding and so we wanted to keep everything consistent. 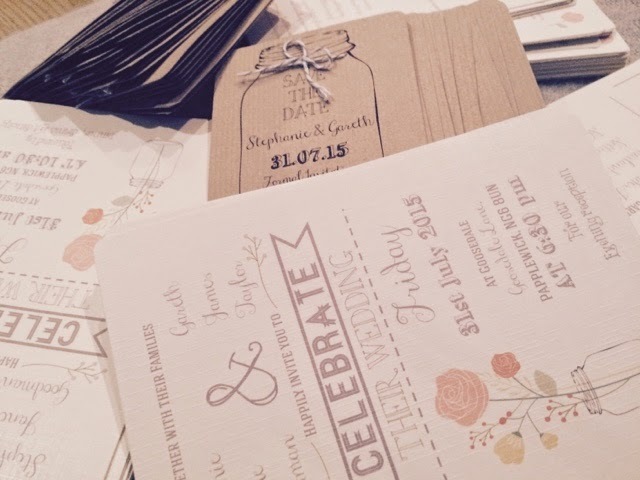 I first began my search through Pinterest and started gathering ideas and inspiration for vintage themed wedding invitations - then I discovered Cheshire based company, The Little Wedding Co. 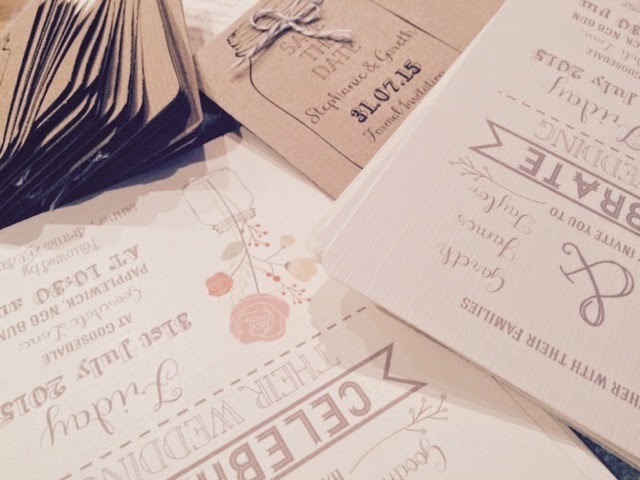 Owned by Sarah B and Sarah M, this independent duo hand make beautiful bespoke wedding stationary and decor - including bunting, cute favors, chair and table dressings. 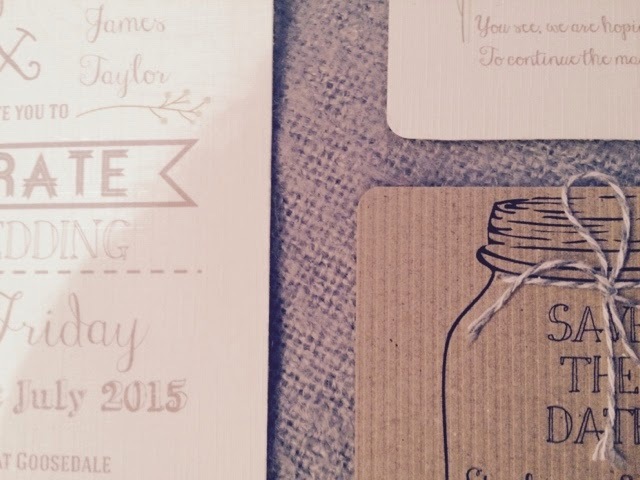 Instantly I fell in love with their unique style of wedding stationary and so I ordered a sample from their eBay store for £2.95. When showing my fiancee the design, he too fell in love with the look and feel of the invitations - which use a beautiful textured grain style of card, giving it a luxury vintage feel. 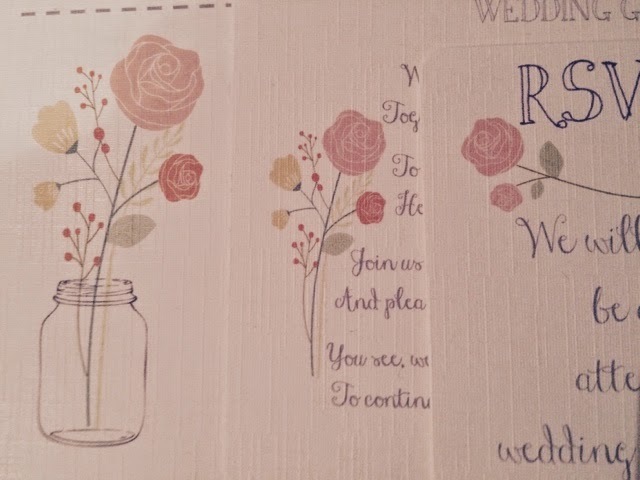 In the end, we opted for a range of wedding stationary from Sarah - save the dates, RSVP's, additional information, day and night invitations. 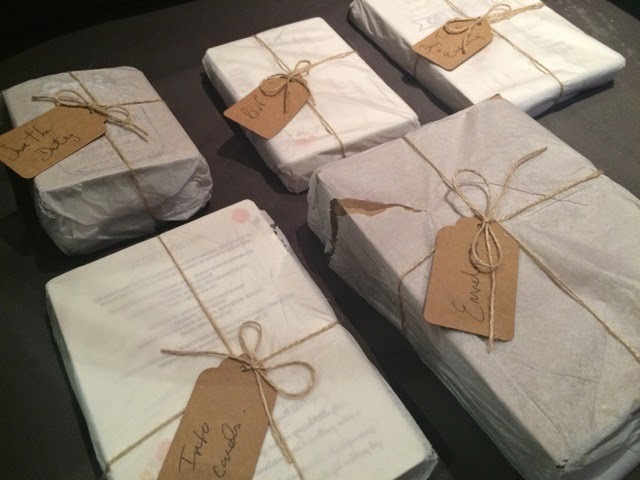 They were sent out with super speedy signed for delivery and arrived individually wrapped with little labels to let us know what each pile was - and here they are! 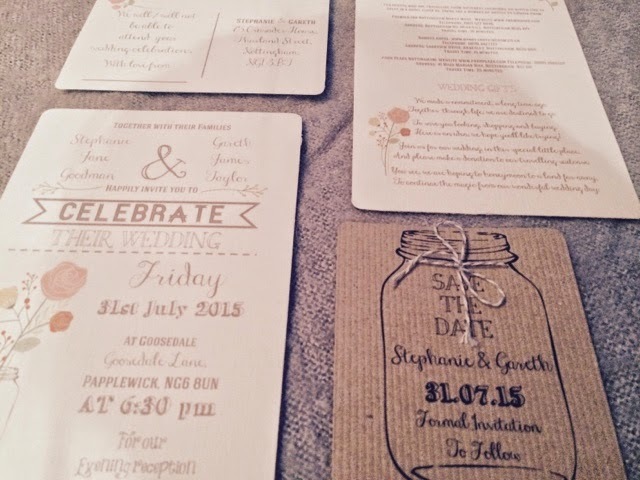 It's safe to say that we are both overwhelmed with the detail and how beautiful our wedding invitations are. 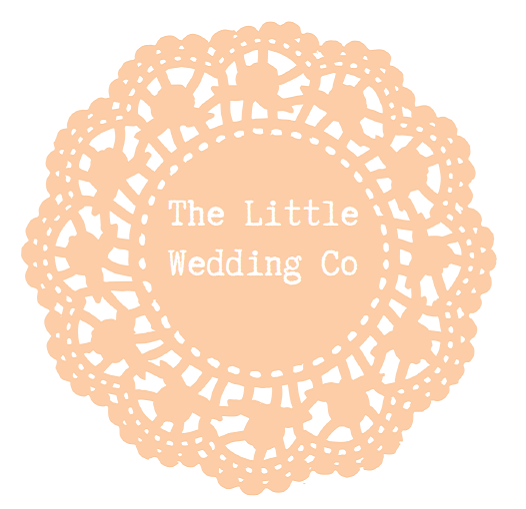 So, if you're looking for a little something extra with your wedding invitations then The Little Wedding Co is definitely your place to go.